Dr Pawan Singhal did his MBBS from JLN Medical College, Ajmer, Rajasthan, INDIA and his post graduation from SMS Medical College, Jaipur, INDIA. He is among only a few ENT surgeons in Rajasthan who have been awarded gold medal (Dr G. Narayanan) in PG nexams. He was the first ENT surgeon in Rajasthan to earn DNB(Diplomate National Board) degree. He was awarded with the prestigious International visiting scholarship award by American Academy of Otorhinolaryngology and Head Neck Surgery in annual meeting at San Francisco on September 2011 for training at Memorial Sloan Kettering Cancer center, New York. Dr Pawan Singhal was also awarded by honorable former Health Minister Sh Durru mia sb for good work in the field of ENT. 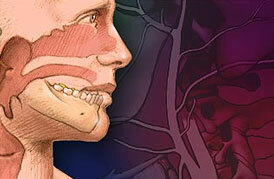 He is tirelessly doing immense work in the field of head and neck surgical oncology. This is not only because of his exposure to great teachers like Prof. S.P.Srivastava and Prof. Man Prakash Sharma but also he is fully trained in the field as well, by means of valuable fellowships at the biggest centers of par excellence in the world for e.g. Memorial sloan kettering cancer centre at New York under the greatest authority of head neck cancer in the world Dr Jatin P Shah and from Dr Anil D'cruz, Dr Pankaj Chaturvedi and Dr Prathmesh Pai atTata Memorial centre Mumbai under the prestigious UICC and Shireen Gajdhar fellowships. His surgical oncology expertise is further accentuated by training at Amrita institute under the master of head and neck reconstructive surgery Prof. Subramniam Ayer especially in free vascular and regional flaps. 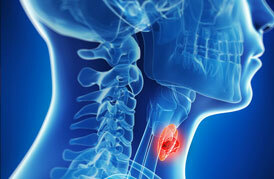 Dr Singhal is not confined only to therapeutic oncology but also in preventive oncology. For prevention and awareness regarding cancers in the society he is actively associated with VOTV (voice of tobacco victims), Indian asthma society, Rajasthan voluntary health association, ABVP and a lot many organizations. The extensive media coverage in news papers, TV channels, radio and magazines are a real reflection of his humane activities. His credentials are not limited to the work in oncology, he is also doing outstanding work in the field of Otology, for which he has been extensively trained by great teachers as well as at Causse clinic, France under Dr Robert Vincent through a much sought after otology travel fellowship by Indian society of Otology and at KK Ramalingam hospital, Chennai. His otology expertise doesn’t end to general otology; rather he is doing lot more extensive work in otology and lateral skull base including facial nerve decompression, glomus tumor and cancer surgeries including subtotal petrosectomy. Besides the otology work in the ear, he is the only ENT surgeon in Rajasthan to have Dr P P Karnik travel fellowship of Neuro-otology and equilibriometric society of India. 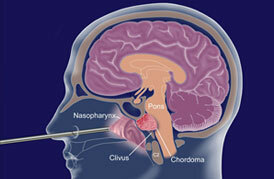 Dr Pawan Singhal is well versed with all nasal surgeries and frequently doing every kind of nasal procedures, right from conventional external approaches including maxillary swing and FESS(Functional endoscopic sinus surgery) till extended anterior and central skullbase surgeries including pituitary, orbital and optic nerve surgeries. If we talk about plastic surgery of nose and face, he routinly does a lot of rhinoplasty and facioplasty procedures. He has been invited in innumerable national and international conferences, workshops and CME's as a guest faculty. He is a member of a lot of national and international bodies/associations and have hold a lot of positions for last many years. 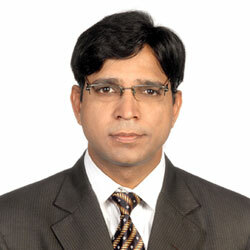 He is a reviewer and in editorial board in national and international journals. Above all he is a keen learner and a voracious teacher and always tries to develop skills to teach his students and provide utmost care to his patients. His journey of hard work is not new, it started since his Graduation. In undergraduate itself he was among 10 toppers in his class always and won many awards in academics, cultural and sports activities as well.